I really do love the Ron Howard’s Willow. I mean, yeah, it’s not a perfect movie, but in the relatively spare canon of “decent fantasy films,” it rates rather high. It rates in my top five, at any rate. Willow Ufgood is an excellent, excellent male role model. I mean, Martigan gets all the press, sure, and is a pretty decent guy in the end, but Willow is the shining moral center of that film and, honestly, I do love him for it. Part of the reason it took me a long time to realize his importance to me is because Willow does not conform to the typical male tropes that I, and every other guy, was raised to believe in. He isn’t strong. He isn’t powerful. He isn’t brash or clever or hard or any of that macho, chest-thumping crap. You know what Willow is? A good person. A good, competent father. A regular guy who goes out and does what’s right because, dammit, it’s what’s right. Dude, it just isn’t that goddamned complicated. I think what hit me most strongly this time around was his role as father figure. Fathers, as we men are informed from a young age, are not involved in childcare. They are not supposed to be accustomed to domestic duties and are, we are told, pretty clueless and stupid about children, women, and everything else that isn’t drinking, fighting, screwing, and making money. Remember Three Men and a Baby? Remember all the “hilarity” surrounding them changing a diaper or giving her a bottle and so on? You know what that told me, as a boy: taking care of babies is not your place, man-child. See how foolish and stupid these men are? That could be you! This is a pretty important thing for boys to see. Even if they don’t get it. It’s possible I’m giving the movie a bit too much credit, here. 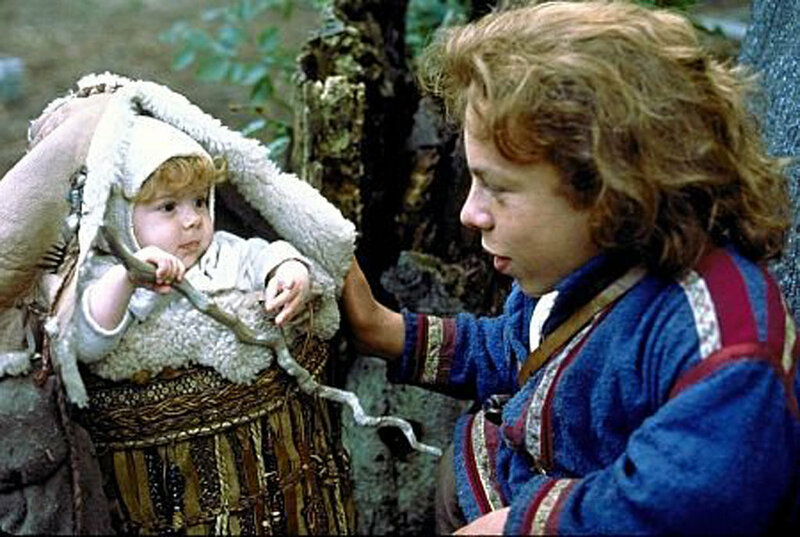 Perhaps, from my 21st century perspective, I fail to realize that the movie is holding up these qualities of Willow’s as things to be mocked, but I don’t think so. Elora Danan could have selected anybody as her guardian, but you know who she picks? 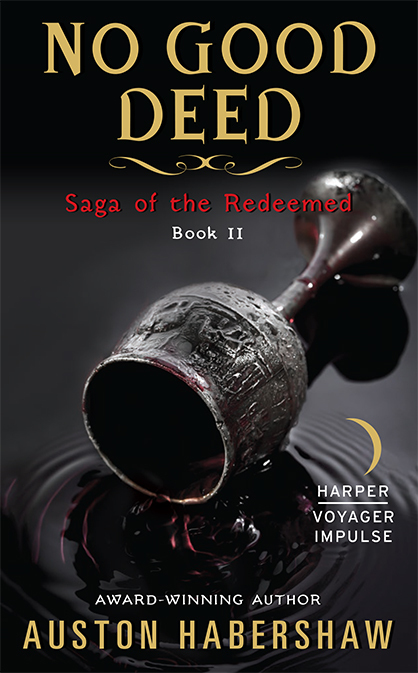 Not Mad Martigan, not Airk, not even Fin Razel – she picks Willow, the good dad. The farmer and bad sorcerer. The good and honest man who leaves his home and family (who he misses desperately) to take care of and protect an innocent baby from forces waaay beyond his power to contest. Now, when I watch this movie, I realize that this is part of the thing I appreciated about it all along, but didn’t actually vocalize. I mean, as a guy, you’re not supposed to admire the parenting skills of another man. You’re supposed to love Mad Martigan’s swordplay (and I do) and be impressed by General Kael’s skull mask (and I am). For all that, though, the real hero here is a man who is a competent, caring dad. In the end, all those swords and armies and magic acorns and powerful wands don’t really matter for much. The coup-de-grace is basically delivered because Willow could get a baby in an eldritch sacrificial garment to stop crying long enough for him to perform a disappearing pig trick. That, fellow dads, takes a special kind of magic, does it not? 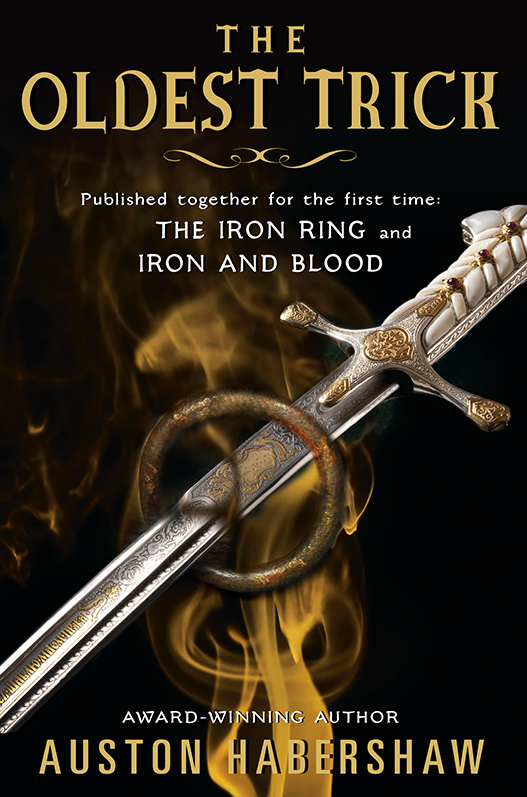 Tomorrow is release day for Blood and Iron, book 2 of the Saga of the Redeemed! Get it wherever fine e-books are sold! There’s that moment when you’re watching Empire Strikes Back, right near the beginning, when you hear the hum and roar of the Echo Base hangar and watch Han cuss out Chewie for taking something apart he just tried to fix, when you realize: I love these guys. And you do. 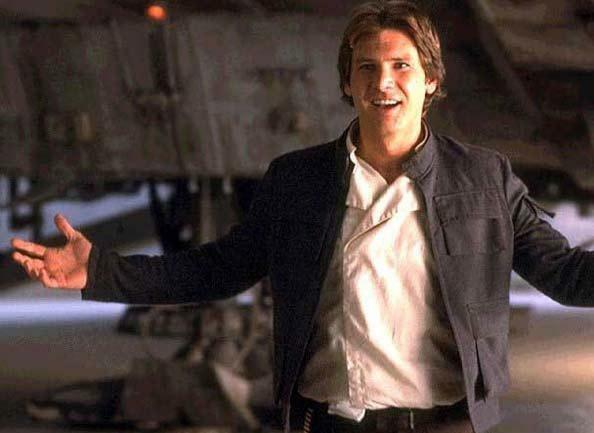 You want to live with them; you want to sling up a hammock in the Falcon and ride along for their adventures, no matter where they lead, because Han is awesome and Chewie is like the best friend you never had and you want to know what the inside of that ship smells like or how the air on Hoth feels against your cheeks. It is at that moment that, against all reason, the world of Star Wars has you. Your heart is in your throat for the rest of it, come what may, because Han and Chewie and Luke and Leia are your friends. …and then he gets a sword. Magic happens. It happens with Indiana Jones running through the South American jungles in Raiders, it happens with Tyrion when he walks out of the Eyrie with a smile on his face, it happens with Jack Sparrow and Long John Silver, with Mal Reynolds and Buffy, with Kirk and McCoy – that single, almost unquantifiable thing that happens when you discover that you really do love these people. You could read stories about them forever, or so you think. Yet, it isn’t really true. How we fall in love and out of love with characters (or how we never manage to) is the sort of bottled lightning that probably every author seeks to capture. You try to make your characters relatable, flawed, but also idealized and perfect (somehow). You give them senses of humor, you have them complain about stuff just like a regular person, and then, once you’ve tied the audience to them as tightly as a ship to its anchor, you heave those characters overboard and watch the people squirm. When you watch Han let Lando borrow the Falcon to fly in the Battle of Endor, your heart is in your throat. You can scarcely look as the flames burn up around the cockpit as the ship is trying to make it out of the Death Star and then, for that brief fleeting moment that you think Lando is gone, your breathing stops. You’re frozen, almost as in grief for a real person, but before you can figure it out the ship shoots out into space, the music rises, and you’re there cheering. Then, wierdly, you can find yourself down the road a bit and looking over the latest atrocious Pirates of the Caribbean sequel and find you no longer care. They lost you. You couldn’t care less if (Captain) Jack Sparrow is tossed over the side with cannonballs around his ankles ten minutes into the movie. Whatever. He’s just some fictional character now; you don’t know him from Adam. What is the magic formula, then? How can you whip yourself up a batch of loveable characters and keep them that way? The fact is that the answer isn’t an easily quantifiable one. If it were, movies like GI Joe: Rise of Cobra or Cutthroat Island, which try so very hard, wouldn’t fail so miserably. If once you made it you kept it by default, I wouldn’t find myself reading A Dance with Dragons and deciding I don’t really care what happens to Tyrion anymore. There’s a kind of storytelling alchemy at work here, a theoretical paradigm we are all trying to achieve, and there seems to be no sure way to pull it off. Like the perfect game or the hole in one, it only happens once a career if you’re lucky. But we all keep trying, don’t we? We want that moment where the audience cares for our characters as much as we do, but, like any loving parent, it is sometimes so very hard to see the flaws in those you love with all your heart. Dragons, Giants, Hydra, Titans, the Kraken: all monsters of superhuman size and strength, and all popular foes in much of specfic literature, and frequent guest stars in role playing and video games. When done well, facing these incredible beasties is some of the coolest, most exciting moments of the story. When done poorly, they suddenly don’t make a whole lot of sense. This guy is screwed. Good thing he has fairy magic to bail him out. Monsters Don’t Fight Like People: You don’t stand toe-to-toe with the beastie and swing your sword like it’s an orc. Honestly, unless you’re really lucky, your sword is almost worthless, your armor isn’t really that useful, and most of your martial arts training isn’t going to help very much (Legolas excepted). Monsters Chew the Scenery: If you think you can have a fight with a twenty foot giant and not destroy a lot of property, you need to have your head examined. If you’re in a house, even money says its coming down. Monsters Can Move: You know how we are able to move around, turn, jump, run, and all that stuff? Monsters can do that, too. Sometimes they can do it even better than we can. Unless you’re a Jedi, don’t bet on running between its legs. With these rules in place, it becomes rapidly obvious that, in order to defeat the beast, the hero or heroes will need to think outside the box. This isn’t a case of simply ‘hit it with your sword until it dies’ (a flaw in logic I’ve examined before); the toe-to-toe engagement is unwise. The heroes need to run around, hide, use their small size to their advantage, strike the weak points, and so on. More in common with a carnival ride than a scary beast. To provide a counter-example to the one I mentioned above, do you folks remember the movie Willow? Ah, who am I kidding, of course you do! 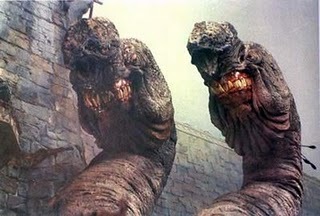 Anyway, the two-headed monster that shows up in the Tir Asleen battle is a great example of extremely lame monster-fighting. Now, granted, many of the problems are related to the fact that the film’s budget was only so large and they didn’t have CGI to make this thing really move, but still we have a whole battle in the middle of the movie with a giant monster that doesn’t really move, doesn’t really destroy anything, and that is killed just by stabbing it in the head. I mean, it’s sort of scary, but it doesn’t really steal the scene at all. In fact, a lot of the battle keeps going on while this whole giant monster is sitting there, eating Nokmar soldiers. Now, while I do approve of the idea of sticking a monster in the middle of an unrelated battle, this one doesn’t really do much more than act as scenery. The soldiers just kind of surround it, it sits there, and we patiently wait for Mad Martigan to kill it. It’s a fun scene, yes, but it’s nothing compared to the Cave Troll in Fellowship or the first time Paul faces a sandworm in Dune. This monster isn’t working to its full potential. In the end, all I’m really saying here is that the massive monsters of mythology ought to be given their proper due when facing our heroes. There is just too much potential there to be wasted.